Employees don’t require a lavish, Google-sized budget to motivate them. Simple, thoughtful and cost-effective strategies can go a long way in building a sense of community and increasing engagement. Employee engagement doesn’t require the budget of Google to be impactful. In fact, most employees value stronger relationships with their managers and colleagues. Managers who invest in developing strong relationships with their employees experience increased loyalty and engagement. A recent survey by Gallup found only 13 percent of employees are engaged at work. The more shocking side to this statistic is an estimated 900 million workers are disengaged in their jobs costing companies $3,400 for ever $10,000 of employee salaries. Driving engagement doesn’t always require a financial output. In an ideal world, companies would have the budget of Google or Twitter to pour into creating a top engagement program. A lack of budget makes employers hesitant from exploring alternative possibilities. The truth is, while free dry cleaning services and luxurious team outings are nice, employees value much more realistic incentives. Autonomous working environments are often talked about with little action. Employees who are empowered to control the bigger decisions in their day-to-day are more dedicated to producing quality results. This is because their name is tied to it. Companies can create leaders from within through guidance, the necessary resources, available support and clarity around processes and expectations. Once they have a clear understanding of what the big picture vision is, they become more innovative on their path to achieving it. Managers can take on the role of a coach or mentor by career mapping an employee’s journey throughout the organization. A successful career mapping experience guides employees through exactly what they need to do to reach their career goals with achievable milestones along the way. Employees who have an end goal to work towards remain engaged as they strive toward achieving their personal goals with the support of their manager by their side. Managers can create leaders from within by investing time in the development of their employees and teaching them the necessary skills to excel in their position. This will not only boost their confidence but it will help inspire unwavering loyalty to the manager and the company. Anne M. Mulcahy said it best “employees are a company’s greatest asset.” Employers invest in their development so why wouldn’t they invest in their health? Prior to the millennial generation, employers kept their candy drawers stocked and available snack options filled with the cheapest, most unhealthy grocery store finds. While these high volumes, budget-friendly junk food options keep the snack bowl filled, the overall impact on employee health and output is hurtful, leading to a loss in productivity due to lethargy. In 2015, Glassdoor conducted an employee survey that found 60 percent of people consider perks and benefits a major factor when making the final decision of whether they’ll accept a job offer or not. Interestingly, 80% said they valued additional benefits and office perks over a pay raise. While Google is known for its over-the-top perks such as a professional chef, haircuts and on-campus dry cleaning, companies with smaller budgets can make small adjustments without the large financial investment. Change can start immediately by opting for granola bars over hard candy. Employers can buy in bulk from large discounters such as Costco, Sam’s Club or BJ’s Whole Foods or find cheaper options on online stores like Amazon. Creating healthy habits requires a dedicated approach and an ongoing effort to maintain. Nutrition plays a key part in a person’s overall health and wellness. Employees who eat healthier have higher energy levels, productivity, and performance. Additional benefits are less sick days taken and reduced stress levels. The reality is, unhealthy eating habits contribute to a 66% loss of productivity. Companies can work to mitigate this by developing healthier habits. They can do this by bringing their employees together and fostering a sense of community from within. Employers should take the lead on supporting their employees to achieve their wellness goals through healthy snack options, promoting frequent exercise throughout the workday and practicing stress-relieving activities. Opening lines of communication with employees to ask their feedback on what they would like is a great way to show you value their opinion while learning the exact things that keep them engaged. This can be done through employee surveys or informal discussions. It’s crucial employees understand the conditions surrounding the budget. Otherwise, they might come to expect these benefits and the decrease to their morale and engagement would be more detrimental than before the conversation was had. Employees are more likely to trust in their management and the future of the company if they’re kept in the loop about what’s going on internally. The best way for them to learn about this is directly from senior leadership. All levels of leadership must practice open communication and transparency to foster trust and build engagement across the company. In SHRM’s 2015 Job Satisfaction and Engagement survey, they identified the communication of a company’s overall goals and strategies being 52% important to employees. The same survey found the importance of trust between senior leaders and employees ranked at 64%. Expressing appreciation and recognition comes in various forms. Improving employee satisfaction and happiness means acknowledging the minor details. The top motivator for employees is receiving praise from their manager. A study by Gallup found employees who receive praise and recognition on a consistent basis experience increased loyalty and satisfaction from customers and growth in their personal productivity. There’s a wealth of free tools and resources available to companies with strapped budgets. These tools, when chosen carefully for the needs specific to a company, can have the same positive impact as paid ones. Regardless if companies choose to use technology or deliver praise personally, this is an effective way to boost morale and workplace happiness. Hosting town halls gives employees the chance to interact with senior leaders, learn about happenings throughout the organization while giving employees space to ask questions and voice their comments and concerns. Both companies and employees reap the benefits of a town hall event. They are a great opportunity to create a sense of community, build trust and confidence while letting employees voices be heard. It’s also a great opportunity to recognize wins, individually and as a whole. Setting aside time to acknowledge achievements, employee and company milestones and celebrate new hires and anniversaries is an easy way to make people feel special. 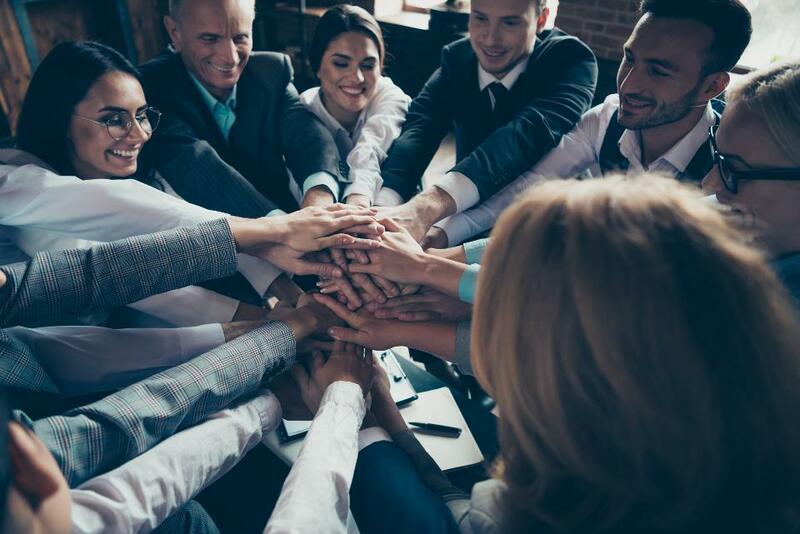 At the end of the day, employees want to be valued for the work they do by a company who values their health, development, and role within the company. Removing the hierarchical barriers that keep the top from the bottom is not just a trend but the way the workforce is shifting to adapt to the new generation of workers. Companies can build thriving cultures without lavish budgets and luxurious employee perks. Simple efforts go a long way. This article was written by Heidi Lynne Kurter from Forbes and was legally licensed through the NewsCred publisher network. Please direct all licensing questions to legal@newscred.com.